Hollywood studio tours are an excellent way to learn about what goes on behind the camera's lens. 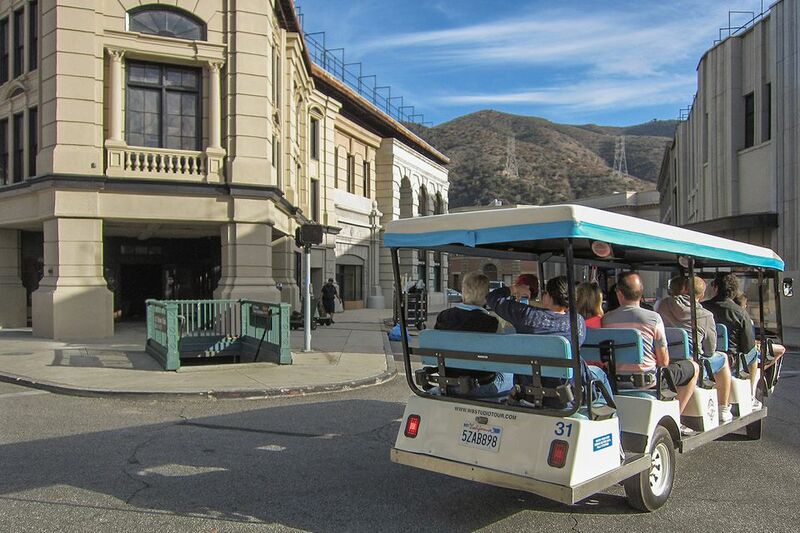 You can take the backlot tour at Universal Studios Hollywood, and you'll see a little bit of how movie magic is made, but if you want to take an in-depth tour of a real, working studio, you should look elsewhere. Three Hollywood studios offer guided tours to the public, or you can take a multi-day guided tour that gets you even further behind the scenes. All of those options are outlined in detail below. Most of the movie studios work on weekdays only For you, that means that with only one exception, you will have to plan your tour on a Monday through Friday. Any of these studio tours will be more fun if you go when the studio is busy. Most of the film-making happens from August through March but shut down during the end-of-year holidays. People who visit in the off-season are the ones most likely to complain in reviews that they didn't get to see much. The tours are also worth taking from April through July if that's when you happen to be in town, but understand that the tour guide can't show you much when nothing much is happening. If you go on a studio tour in Hollywood, you will see all-purpose outdoor sets that can be dressed up to look like all kinds of places. You may also visit props warehouses and wardrobe departments. Most tours will also include a visit to a sound stage. Some studios also have nice museums. They all have a gift shop. You'll see the behind-the-scenes workings of a studio on a tour, but you won't watch anything actually being made. If you want to do that, check our guide to how to get into a studio audience in LA. Warner Studio Tour: Located in Burbank, not far from Universal Studios, this is an informative tram tour that takes you to the Warner Bros. Museum and to see their themed exhibits. You'll also see the studio's "back lot" outdoor sets. Tour groups often get to visit a sound stage or into one of the departments that support the filmmaking process. Among their fun things to see are the original set for Central Perk from the TV show Friends and the Picture Car Vault that displays some of the most famous vehicles from the movies. Paramount Studio Tour: At Paramount, you'll tour the only working studio still operating in Hollywood proper. Their tour will take you past the Bronson Gate (from which actor Charles Bronson took his stage name) and through some of the famous spots in studio history. Paramount is the only working studio that lets you take pictures on their tour and it's the easiest studio to get to using public transportation. Sony Pictures Studio Tour: In the early days, this studio belonged to MGM. It was the place where classic films like The Wizard of Oz and Mutiny on the Bounty were shot. Their studio tours run weekdays and you may visit the sets of the hit game shows "Jeopardy!" or "Wheel of Fortune." Located in Culver City. It includes a lot of walking. Adventures by Disney: Backstage Magic: There's no better way to get behind the scenes it than this. Adventures by Disney's Backstage Magic tour is a six-day, five-night ramble that takes you to film studios, Disney Imagineering and the two California theme parks, venturing into places not otherwise open to the public. It begins in Hollywood and includes several locales you won't get to see any other way, such as the Jim Henson Studios, Disney Studios, and backstage at the El Capitan movie theater. Universal Studios Tour: Over the years since it opened, the Universal Studios tours has morphed into more of a theme park ride than a real studio tour. It's fun to see some of their classic film sets, but you'll learn little about how movies are made while you're being entertained. Located north of Hollywood in Universal City. The Los Angeles Go Card includes admission to two of the working studios - and to Universal Studios with cards good for three days or more. Use this handy guide to find out all you need to know about it.